An appreciation of poverty that is as complete as possible constitutes an essential step in the analysis of the causes of poverty and in the formulation of policies to combat it. 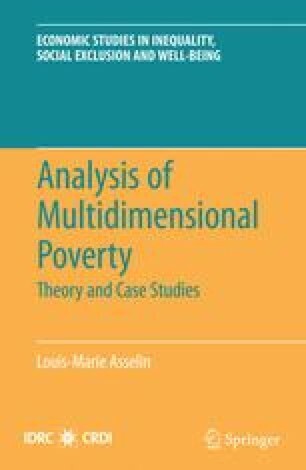 The monetary approach is not sufficient to capture the multiple aspects of poverty: a multidimensional analysis is also needed. The main objective of this research is therefore to construct a composite indicator of poverty using a basic needs approach. The analysis shows that the most widespread forms of poverty in Senegal are related to the vulnerability of human existence and to the lack of infrastructures, elements of comfort, and equipment. We estimate the incidence of multidimensional poverty to reach 60%, compared to 48.5% for monetary poverty. Rural areas are particularly affected by nonmonetary poverty whereas urban areas are affected more by monetary poverty in spite of the existence of human capital and basic infrastructures. The two types of poverty are quite strongly and positively correlated.